Home » For Consumers » What flooring product should I use? You are always faced with a wide range of exciting options when it comes to choosing flooring material, whether it be residential or commercial. Most flooring products have been designed for specific uses. Manufacturers will rate or grade their products as being able to stand up to different types of use. Generally products are either categorised as being for commercial use (offices, schools, hospitals etc) or for residential use. 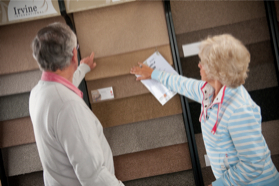 Choosing the appropriate grade of flooring product to meet your needs is essential. You may view two or more flooring products that look exactly the same but, in terms of their grading and ability to perform, they can be vastly different. The amount and type of traffic your floor will receive will impact on it’s wear and look. Identify heavy traffic areas. These typically include entrances, hallways, stairs and areas where people tend to stand or sit for long periods of time. We live a unique indoors-outdoors type of lifestyle in New Zealand. The environmental impact of people constantly flowing between indoors and outdoors should be considered. You may also have family pets that could impact on the wear and look of your floor. These two factors are vital in getting the look and feel you want in the area where you are having flooring installed. Choosing colours from samples needs to be done carefully. Manufacturers work very hard to get their samples as close as possible to the colour/s that will end up in your product on the floor. Be aware that very small variances can occur between the sample you look at and the product that turns up to be installed. Light, both natural and artificial, can change the look of a flooring product. Try to view a flooring sample at different times of the day as the sun changes position and then at night under artificial light. The colour and texture of a flooring product may be intensified or conversely lose their visual impact depending on the size of the area they are being installed into. Smaller narrower areas may intensify colour and texture, while large areas may dilute these features. 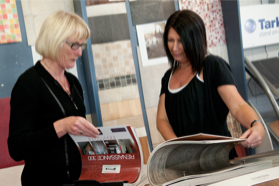 Setting a budget will help you determine your choice of flooring products. But remember “cheapest is not always the best”. Make sure you are comparing products that are of the same grade. Preparation of the substrate over which the flooring product is to be installed is crucial. If you don’t allow room in your budget to do this properly you will be disappointed in the look of your floor. New Zealand has one of the highest levels of ultra-violet light exposure in the world so choosing a flooring product that is able to stand up to exposure from that light spectrum is vital to the longevity of your flooring. We also live on long thin islands in the middle of two vast oceans. This means we have constant fluctuations in our climatic conditions. For some flooring products, exposure to these constantly changing weather patterns can impact on their performance. The sustainability of a product is also a concern for many consumers. Is the source of this flooring material sustainably managed? What conditions was this flooring product manufactured in, both in terms of the labour and/or the materials used in its production?